Find out how you can 'break free and enjoy life'. Author and speaker Jerrod Sessler was not swayed when doctors gave him a five percent chance of surviving advanced-stage cancer. He took responsibility not only for his recovery but for leading others to health. Jerrod's story is a riveting message of hope and healing that will inspire you. Food Chains is packed with his energy and enthusiasm. The shape of your brain will be altered as you are challenged to consider if what you believe to be true about your food really is in fact true. 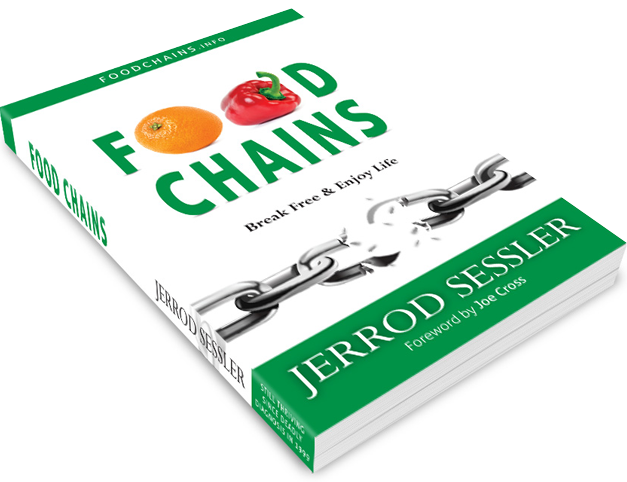 Food Chains gives you ammunition to break free and live the good life. Prepare to be motivated to make simple changes that lead to radical results.